St Geraint: Unlike most of the Cornish saints whose names are associated with parishes, Geraint was not ‘an itinerant missionary’. He is recorded as a Cornish king of the 8th century, a chieftain who was converted to Christianity. Documents survive authenticating his existence. 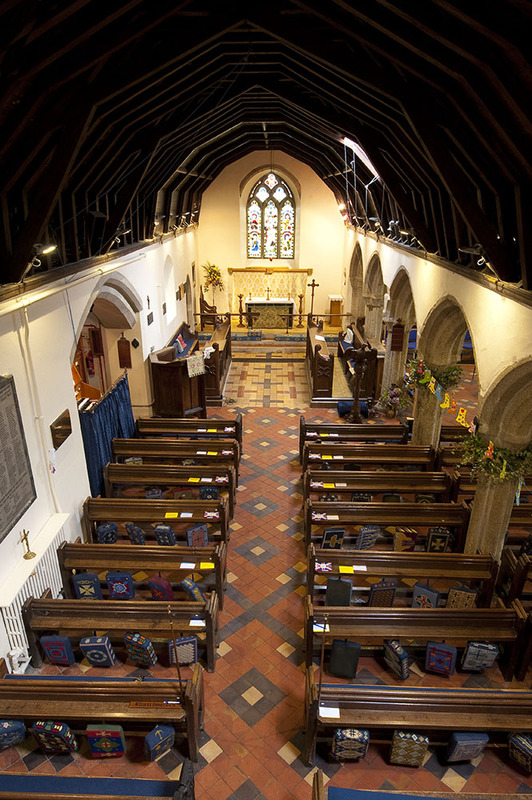 His domain was extensive in the West Country but there is every reason to believe a close connection with this parish, which bears his name. Legend has it that following his death his body was taken in a golden boat with silver oars across Gerrans Bay to be interred in the impressive tumulus at Carne. The present building, dedicated by Bishop Bronescombe in 1261, stands on the site of an earlier Celtic church. This Norman and Early English building followed the usual plan of cruciform shape, with chancel, nave, north and south transepts and a tower. Remains of the Early English building are to be seen in two lancet windows in the north wall at the back of the church and one in the north transept. In the 15th or early 16th century the building was much enlarged, the south transept being incorporated into a south aisle. At this stage a steeple was added to the tower at the request of fishermen to serve as a distinctive navigation mark. 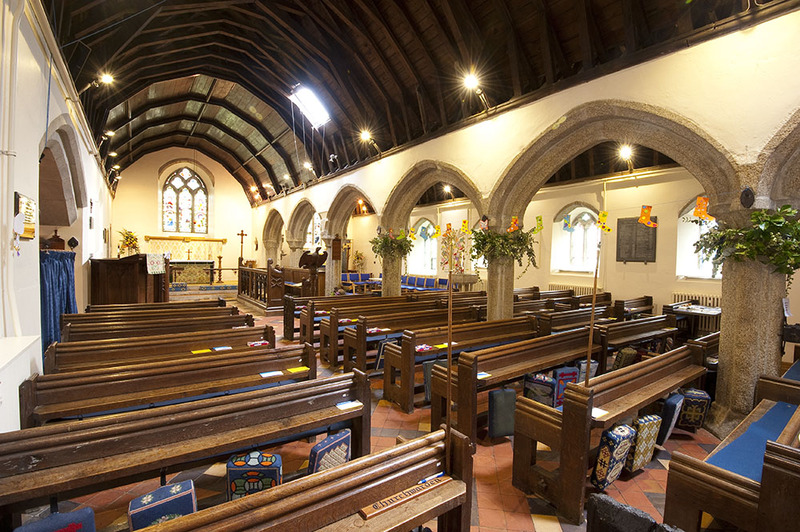 In common with many other parish churches, Gerrans suffered much neglect over the years. A fire which destroyed much of the roof in the 1840s precipitated a virtual rebuild. While much of historic interest was undoubtedly lost at this time there remain several features of note. A priest’s tomb was removed from the chancel and placed in an arched recess in the north transept. 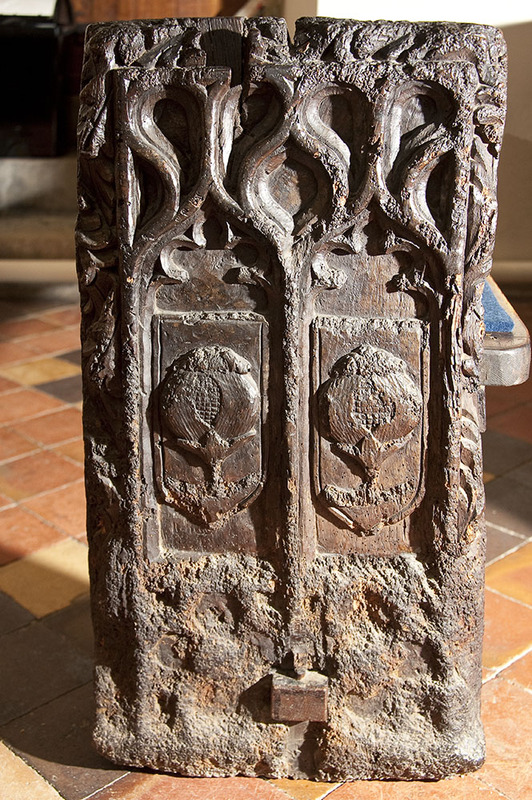 There are six fine carved bench ends dating from the 16th century, one of which depicts a shield bearing the device, a pomegranate, of Catherine of Aragon, which suggests that the carvings are of that period or that of her daughter Queen Mary. 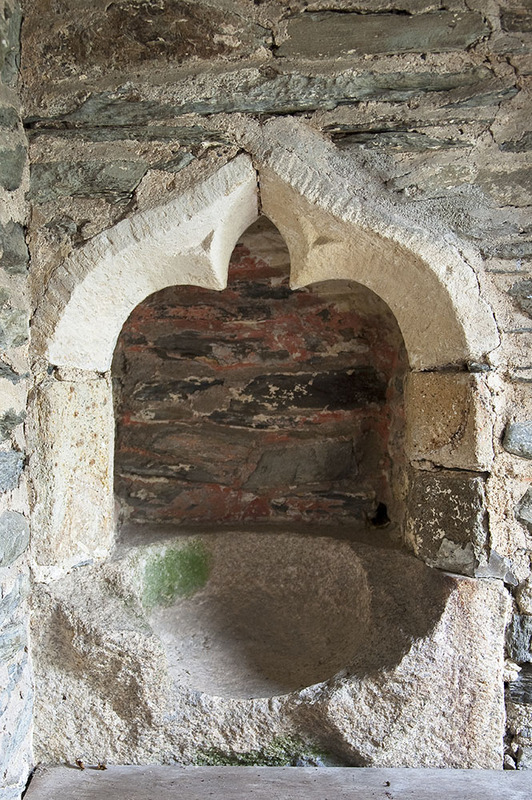 The font is a good example of Norman work. 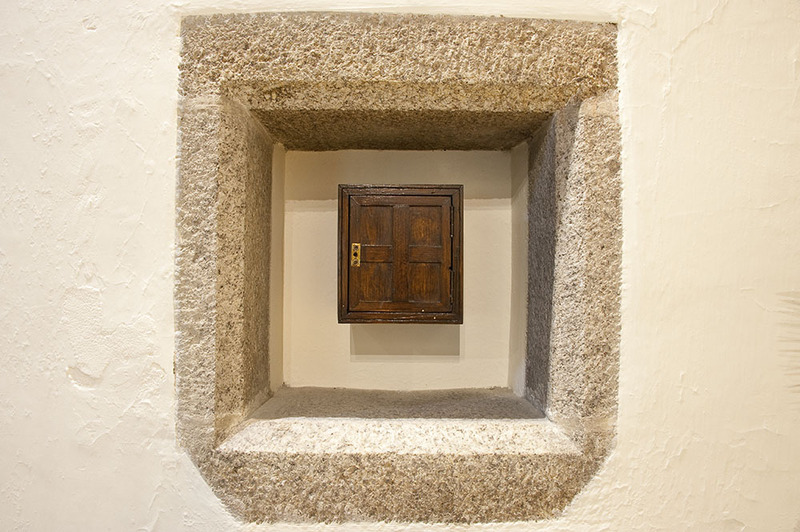 In the walls on either side of the altar remain a piscina and aumbry and in the south porch a damaged holy water stoup. The parish registers deposited at Cornwall Record Office have been described as ‘ranking with the most perfect in the kingdom.’ They are complete from 1538. The parish is indebted to the Rector, Thomas Bedford, who was deprived of his office during the Commonwealth but at the Restoration faithfully copied into the register all entries omitted during that period. Many changes have taken place in the last century. In 1952 the organ was removed from the eastern end of the south aisle and installed in the north transept. It was replaced by a Lady chapel which commemorates the existence of a 15th century chapel at nearby Rosteague dedicated to St Mary the Virgin. Yet more recently funds were raised to transform the west end of the church. This has provided a much needed meeting room, kitchen facilities and a choir vestry. The seating lost by the development has been replaced in the gallery over the meeting room. The whole project has been most sympathetically carried out.